Buy Object Lessons Space a Coffee. ko-fi.com/objectlessonsspace - Ko-fi ❤️ Where creators get paid by fans, with a 'Buy Me a Coffee' button. 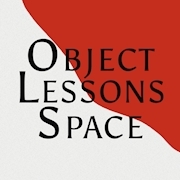 Object Lessons Space is a platform that encourages a redefined understanding of art through conversation. Thanks so much for coming by! If you like the work we do on Object Lessons Space, please consider supporting us by buying us a coffee and keeping us caffeinated. Secured Payments. Support goes to Object Lessons Space's account. Upgrade Object Lessons Space to a yearly Gold Membership with a one-time payment.